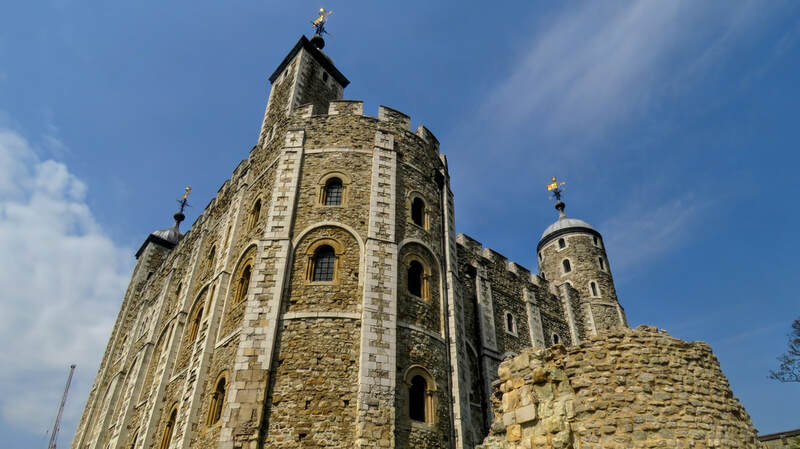 Since taking out an annual membership with the Royal Palaces, a day visit to the Tower has been on the cards. We haven't used the pass much (just Hampton Court on a couple of occasions), so before it lapses (we won't renew), Jenny and I took the opportunity to look at what is on offer at this World Heritage site. On the way from London Bridge, we tried the new staircase to the Thames Path Walk which has great views and as the tide was out went down onto the river beach, which is a first for me. The fact is that a thousand years of history is hard to take in during a few hours, and this is more "my thing" than Jenny's but she loved it too. The Crown Jewels are spectacular and used in the Coronation and other State Royal rituals. The Torture part was smaller than I remembered but chilling and I think that the history told is very white washed - surely more than 48 people have been tortured at the Tower? The Royal Mint element was very good, as are the Armoury exhibits. The mythical Ravens cawed , the sun shone and the crowds were not too intimidating. We shared a salad and cakes for lunch which was tasty and (I thought pretty good value at about £13). This was a brilliant visit, before a trip across London to see my Mum. These photos are from my trusty Canon Powershot SX60HS compact with a few from Jenny using my SX240HS compact.